Enjoy the comfort of clean, climate-controlled air in your home. Every day, every season. We respect your time and understand your need for a fast HVAC solution. That's why we guarantee prompt, professional, and courteous service. We charge for the job, not by the hour, and with no hidden fees. This allows us to finish your home HVAC repair without watching the clock. Our technicians take pride in providing you the best possible service with attention to detail, professionalism, and integrity. Our hours are Monday through Saturday, 7:00 am to 7:00 pm. However, we also offer emergency after hours service. A properly functioning air conditioning system not only performs better, it will reduce your energy costs. We can install a new air conditioner to effectively cool your home, or repair your existing AC unit to increase its lifespan and efficiency. When the Arizona winter arrives, don't let a broken-down furnace or heat pump leave you scrambling for sweaters and blankets. 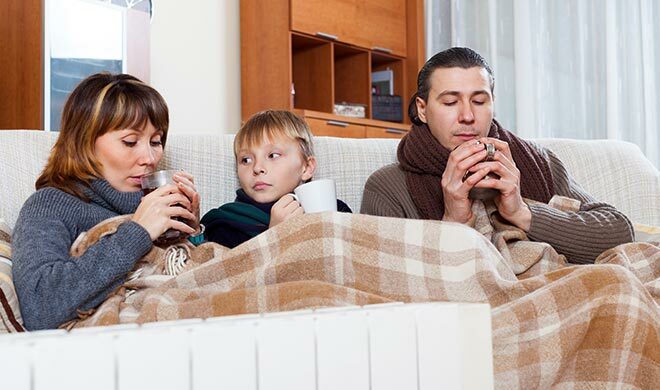 Our technicians offer complete heater repair, replacement, and maintenance services to keep your family warm and cozy. Few people enjoy the unexpected cold shower in the morning. 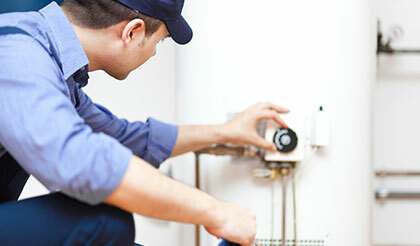 We install and repair both gas and electric water heaters, and make it our priority to get hot water back into your routine. An effective alternative to traditional air conditioning is the evaporative cooler as they offer higher energy efficiency and reliable performance. Ask us about a solution for your home. We offer ongoing maintenance programs to ensure that your home's air conditioning system works safely, effectively, at its maximum efficiency, and with a minimal chance of downtime. In Arizona having a functional air conditioning unit is essential. When residents of Glendale, Peoria and Surprise need immediate air conditioning repair, Arctic Fox Air Conditioning & Heating can help! We can assure you that all repairs will be done quickly and correctly, and with no hidden fees. 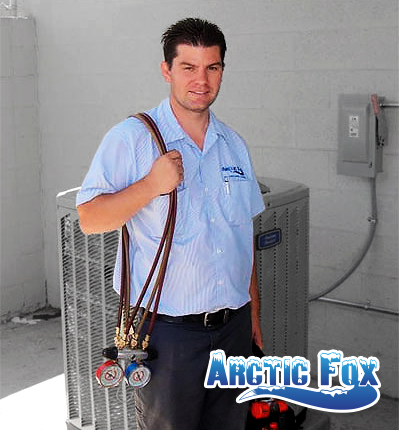 Owners Heath and Misti began Arctic Fox as an alternative to so many local air conditioning service companies and franchises that put company profits before customer satisfaction. Thanks to our professional technicians who are highly qualified and trained in all areas of HVAC services, we guarantee our customers prompt and courteous service. Our technicians take pride in their work, have great attention to detail, and will not leave until the job is done properly. 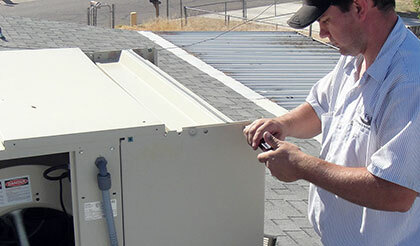 Unlike most HVAC repair services, we charge for the job, not by the hour. This is beneficial to both customers and technicians because it provides the technician the time necessary to finish repairs without having to watch the clock. Integrity is the principle most valued at Arctic Fox. All technicians and other staff members take pride in offering quality service at honest prices. Customers will never be hassled into purchasing a product or service they do not need. 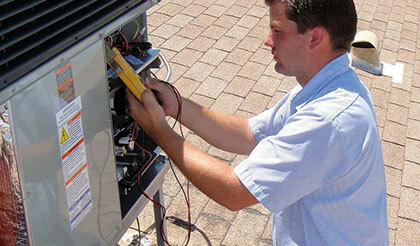 We provide services in all areas of HVAC including installation, service, and repair in Glendale, Peoria and Surprise. Our regular hours are Monday - Saturday, 7:00 am - 7:00 pm. If you need after hours emergency service, please call us for a quote. 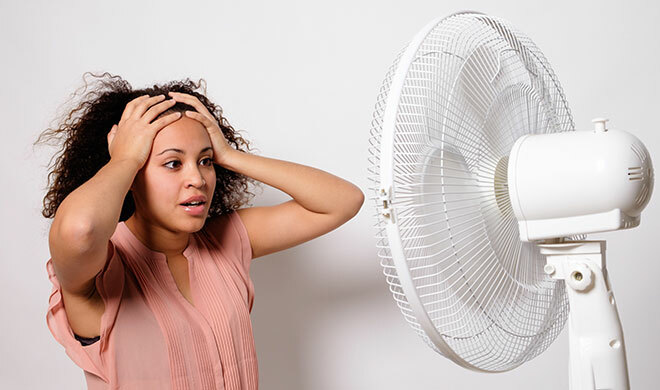 Don't wait for the summer heat before fixing your AC unit. Contact us today to schedule an appointment with one of our HVAC specialists. Give us a call at (623) 533-5718. We appreciate referrals! If you have a family member, friend or neighbor in need of professional HVAC service, have them give us a call to schedule an appointment today.